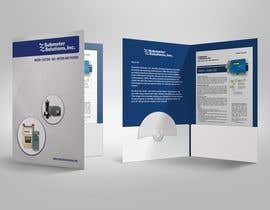 Looking for a design and development of a sales brochure/folder. 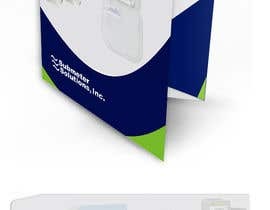 The format will be a single fold with pockets on inside to hold additional single sheets. This will be used as an introductory sales brochure with potential clients when making sales calls. 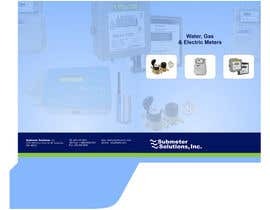 Company is Submeter Solutions and we sell and install utility metering systems for multi-family buildings (apartments, condo's, 4 plexes, etc) as well as business applications. 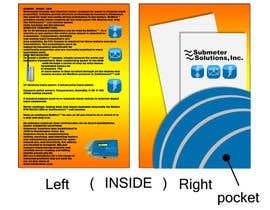 Meters are typically water, gas and electric meters. Systems also include automated reading systems that use wireless technology. Our company also has developed our own wireless meter reading system called NoWire. See attachment for product datasheet. This is an item that we would like featured on the product brochure. We are happy with our corporate logo. We like the coloring scheme that is used on the NoWire datasheet and the E Store. 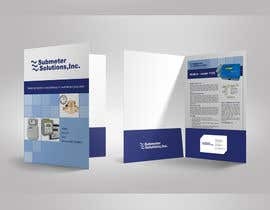 The Brochure should include pictures of meters and meter reading equipment from our web store. it should also include our address on the back cover. We encourage you to look for high resolution pictures of similar utility meters on the web for use. I have also attached a high resolution file of our corporate logo. Beyond these details, we are looking for your creative and tasteful entry. The goal will be to take the winning entry and make any necessary modifications and go straight to the printer with it.